From the #1 New York Times bestselling author of A Column of Fire, the “monumental masterpiece” (Booklist) that changed the course of Ken Follett’s already phenomenal career. 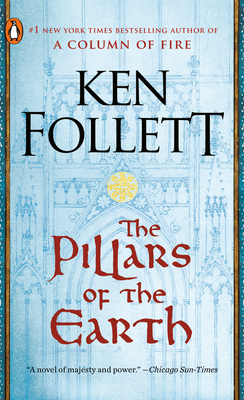 “Follett is a master,” extolled the Washington Post on the release of The Pillars of the Earth. A departure for the bestselling thriller writer, the historical epic stunned readers and critics alike with its ambitious scope and gripping humanity. Today, it stands as a testament to Follett’s unassailable command of the written word and to his universal appeal. Ken Follett is one of the world’s best-loved authors, selling more than 160 million copies of his thirty books. Follett’s first bestseller was Eye of the Needle, a spy story set in the Second World War. In 1989 The Pillars of the Earth was published, and has since become the author’s most successful novel. It reached number one on bestseller lists around the world and was an Oprah’s Book Club pick.